- Kris Defoort's second visit to Japan to play 2 solo piano concerts and the continuation of a great tour with An Old Monk still having a great succes! - A new collegue in the office, Stef! And that's just a few of the many things we shared with you this year. We wish you all the best for the New Year to come and are looking forward to develop more mindblowing projects and organize exciting tours with all of you. Just before we go... take a look at the last projects on our program for December and let us know if you'd like A Detour Fish under your Xmas Palm tree! 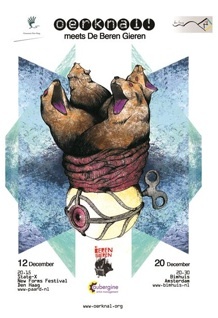 This December, De Beren Gieren are co writting music with Dutch new music collective Oerknal!. This ensemble is dedicated to performing the works of composers who are original, iconoclastic and alive. They believe that music is a visceral art which should be experienced in an intense, physical manner. They promote new music in the truest sense of the term. Opting for the theme of juxtaposition, they present two distinct, raw, and visceral musical styles side-by-side, creating a schizophrenic soundscape for the listener. The centerpiece of these concerts will be a new work created by Oerknal! and De Beren Gieren, performed by the two groups simultaneously. De Beren Gieren will perform two sets of original material; Oerknal! will present music by contemporary composers inspired - to a greater or lesser extent - by popular genres: John Zorn, Lewis Nielson and David Bird. If you love jazz, modern music, or any kind of wildly unique experience, these concerts are most certainly for you! 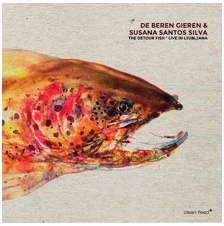 A Detour Fish is the new album of De Beren Gieren and Susana Santos Silva recorded live at Ljubljana Jazz festival 2014. A Detour Fish release will take place at De Singer (Rijksvorsel, BE) on the 29th of January and on the 30th of January at Handelsbeurs (Ghent, BE) simultaneously with the beginning of the 1 2 3 4 tour with Kaja Draksler. A Detour Fish already got enthusiastic press reviews on Flemish website Cobra TV and Norwegian website Salt Peanuts. If you wish to receive your copy for your winter holidays, quickly send us an email with your adress! 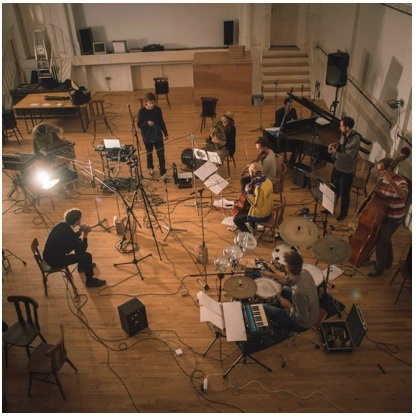 The Jens Maurits Orchestra left it's mark three years ago in the Flemish jazz scene, when Jens Bouttery and Daan Millius created 'The Dubtapes' together. The project then received the Toots Thielemans Jazz Award. In 2014 they created a new show called Triggers and Thresholds, combining jazz and audiovisual art. The result is a musical and visual adventure or even an "installation concert" in which they ask their audience to think about the processes that have resulted in life to the concept of 'music'. The Jens Maurits Orchestra is ready for their new tour in 2015.